Designing has never been more Fun! We’ve just got word of the great Oh My! Designer’s Toolkit — and simply had to share this amazing deal! It’s made by LSTORE, a bunch of professional designers, retouchers and 3d artists that create crazy good-looking assets for any kind of visual project. The Oh My! Designer’s Toolkit helps you to craft eye-candy scenes that will arouse positive emotions! All hundreds of items come in high resolution and are rendered with the same settings, so that you can easily create customized scenes: just drag-n-drop! 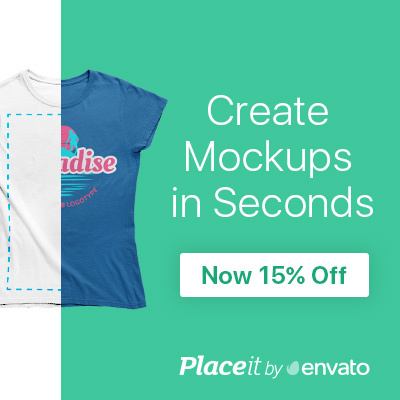 You may also use mockups to customize each item rapidly via smart object. Finally use color masks with different materials to instantly change the color or fine tune the item’s contrast. The combinations are endless. Really. Use the Oh My! 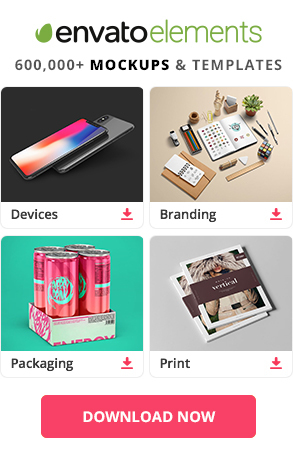 Designer’s Toolkit to create stunning hero-header images, typography compositions, print projects, branding presentations and more! You can also use any of of the pre-made scenes that are included in the quick start pack. Create daring logos and typography compositions using elements of the integrated Logo Creator: Choose from 16 high-res base forms, add ribbons and change the text on it choosing from eight beautiful text mockups!